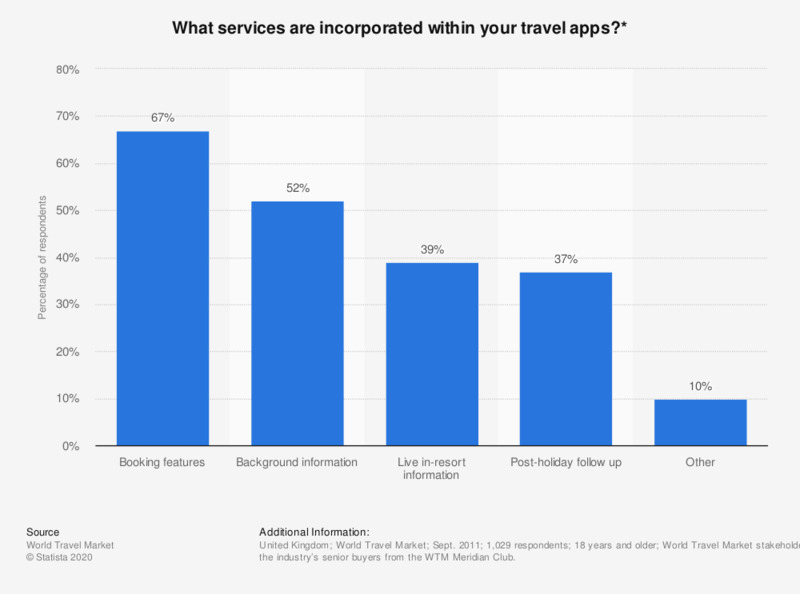 The statistic depicts the survey results concerning the question "What services are incorporated within your travel apps?". 67 percent of the respondents reported that booking features are incorporated within their travel apps. World Travel Market stakeholders comprising of exhibitors and the industry’s senior buyers from the WTM Meridian Club. * The source does not provide detailed information regarding the questions and possible answers of the survey. The wording chosen here might therefore differ slightly from the wording of the survey.